Kesar Enterprises, Thiru Arooran Sugars, Uttam Sugar Mills, Simbhaoli Sugars, Bajaj Hindustan Sugar, Ugar Sugar Works, Dhampur Sugar Mills, Dalmia Bharat Sugar, Dwarikesh Sugar Industries and Triveni Engineering were up 5 per cent to 8 per cent on the BSE. In comparison, the S&P BSE Sensex was up 0.29 per cent at 38,797 at 10:38 am. On Thursday, the private weather forecaster Skymet had predicted below-normal monsoon rains during June-September, clouding prospects of higher economic growth in a country whose farm sector is significantly dependent on the seasonal rainfall. The agency did not ruled out drought, though it said the chances were 15 per cent. 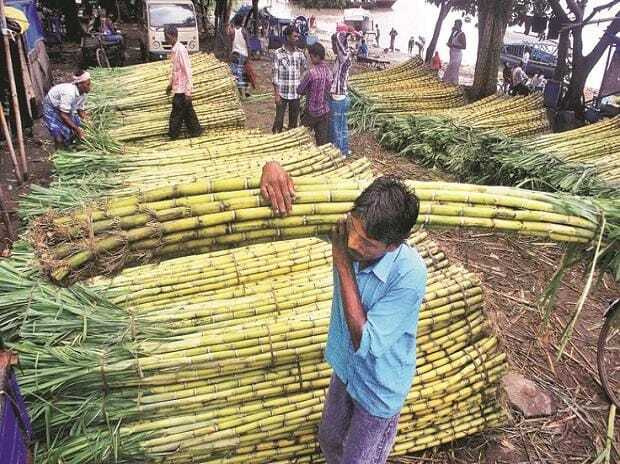 A downward revision in domestic sugar production estimate to 30.7 million MT (as against the first advanced estimate of 31.5 million MT) along with a series of government support measures – both by the central government and various state governments- commencing May 2018 have provided some relief to oversupply hit sugar mills, according to rating agency ICRA. ICRA expects domestic sugar production for sugar year 2019 (SY2019) to be around 30.7 million MT as against earlier estimates of around 31.5 million MT in October 2018 driven by a decline in the sugarcane availability in Uttar Pradesh (UP). In addition, sugar production could be further impacted by the diversion of ‘B’ heavy molasses and sugarcane juice away from sugar into ethanol. Ethanol production capacity may increase over next 2-3 years from 3,550 million liters currently to 6,000-7,000 million, Indian Sugar Mills Association said in a statement.